Moonlight, the coming-of-age drama about race and sexuality, beat out favorites La La Land and Manchester by the Sea to be named Best Picture by the National Society of Film Critics. Director Barry Jenkins also took Best Director, as did Mahershala Ali in the Best Supporting Actor category and the cinematography from James Luxton. Moonlight did not get Best Supporting Actress from Naomie Harris nor Best Screenplay, being bested by Manchester by the Sea in both categories. What does this all mean? Well, it proves that the Oscar Race this year is going to be very interesting as Moonlight again proves to be a top contender against La La Land and Manchester by the Sea. Predictions have swayed almost daily throughout this award season as the three films duked it out with possible underdog Fences also thrown in the mix. 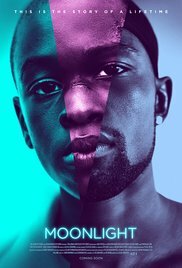 I have yet to see Moonlight but I’m very excited to see a film that tackles so many big ideas, especially after last year’s #Oscarsstillsowhite controversy. Now, naysayers will probably say that Moonlight may be receiving all of this recognition purely because of the controversy, but I don’t believe that to be true. The National Society of Film Critics picks what they want to pick. It’s a small voting group that hasn’t changed much in past years, and I don’t think they feel obligated to respond to controversy either way. So what do you think? Have you seen Moonlight? What did you think? Is it the Best Picture of the Year? Let me know.